In the 13 years since the first tweet was sent, professionals from across all industries have embraced the social media platform, engaging with others and building an online community or a great brand. And, while commercial real estate is an industry notorious for being slow to embrace change and technology, there has been a recent shift in adoption within the past few years. 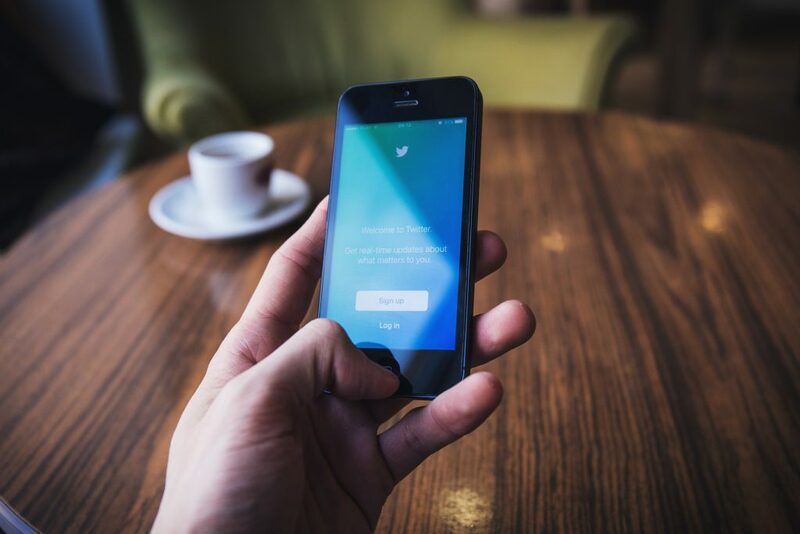 No matter whether you are a tweeting pro or a newbie to the platform, it’s no secret that the most important thing to do on Twitter is to follow and engage with the right people, helping you to foster and build your sphere of social media influence. But how do you know who to follow? If you’re looking to freshen up your Twitter feed, we’re here to help. Here are our suggestions for 3 CRE influencers to follow in 2019. Linda founded theBrokerList.com, and is known throughout the industry as a CRE technology guru who shares a wealth of knowledge on everything from new CRE trends and technologies to the can’t miss conferences that are coming up. Additionally, she regularly shares content from other CRE thought leaders and influences. Specializing in bringing people together, and using technology to make it happen, this is one account you’ll definitely want to follow. Jeffrey Sica is a regular commentator on financial news networks, such as Fox Business, along with Bloomberg Radio and CNBC. Known for being an expert in both wealth management and investments (specifically alternative investments), Sica is the founder, President, and CIO of Circle Squared Alternative Investments. Give him a follow if you’re looking for a bigger perspective when it comes to how finance relates to commercial real estate. If you’re looking for a real and honest approach to commercial real estate, you’ll want to follow Jon Schultz. His perspective and outlook are what have propelled his content to the forefront of some of the most followed content in all of CRE. His Twitter features original content from his own blog with topics ranging from management and mentoring to new trends in CRE tech. This entry was posted in Ashby Real Estate Group News, NAI Dominion News on April 16, 2019 by Lauren Henderson. According to the American Marketing Association pop-ups are now a $50 billon industry, much of which is driven by the increased popularity of e-commerce buying. Online sales have the potential to make up to 35% of retail sales by 2030 according to a report by Credit Suisse. But fear not, retail is still thriving, and malls have the potential to still bring in great returns as non-traditional options, such as pop-ups have the capability to turn space that may have been underutilize into fantastic, new opportunities for mall owners. A pop-up shop is a temporary retail space. Often popular with limited run products, online retailers, start-ups, and experienced-based establishments (think The Museum of Ice Cream or Candytopia). Pop-ups have a more flexible, short-term model than traditional retail space. They often have a smaller footprint that can be rented for a shorter time. Why do pop-ups work for malls? Pop-ups are different from traditional stores in the sense that they have different opportunities for marketing freedoms. They normally do not have to create an identical brand pattern throughout stores because pop-ups act independently. This allows marketing teams to create a different experience from pop-up to pop-up, creating anticipation for what’s to come. The “here today, gone tomorrow” limited edition atmosphere paired with this anticipation drives sales and urgency to purchase. This industry works for malls by creating a buzz that may have died down in recent years. 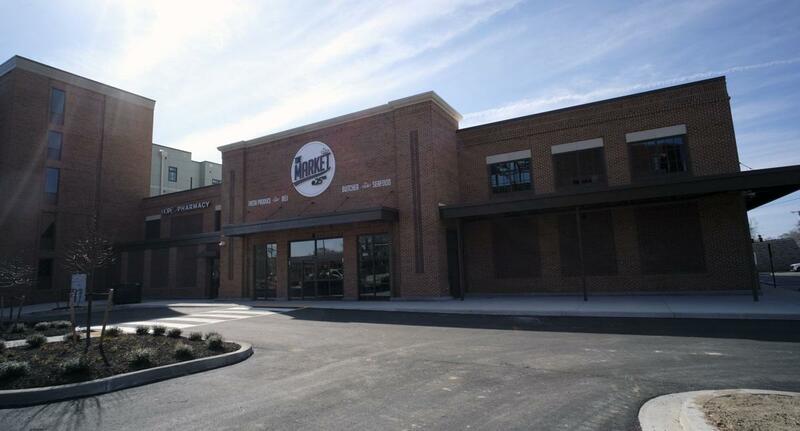 Additionally, they fill retail space that could have otherwise been sitting empty creating unsightly vacancies. Pop-up shops also bring in consumers who may have not otherwise come to the mall, enticing them with limited runs and events. Since these events are normally on a smaller scale, it creates a personalized experience with engaging customer service and a focus on getting customer feedback. This can often create extremely positive experiences and memories, which translates into brand loyalty tied to positive memories. 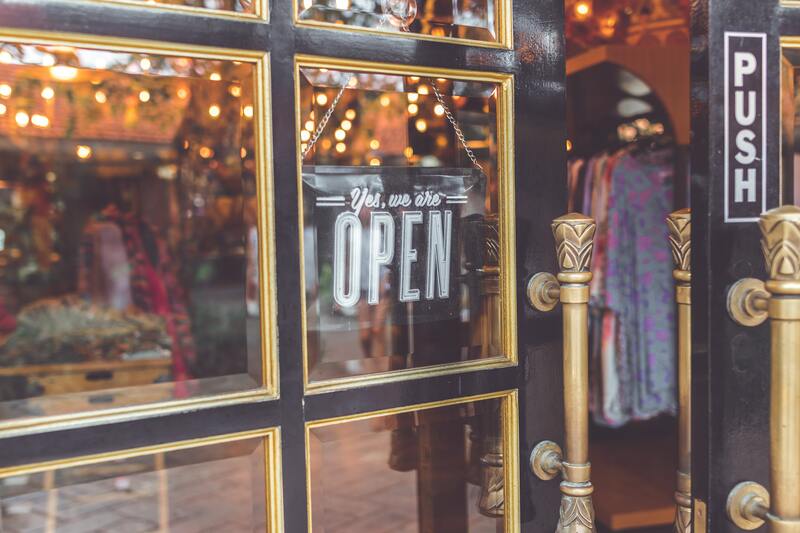 For retailers who are especially successful with their pop-up endeavors, they may use data as motivation to open up a permanent store. Often times, these are located where the most successful pop-up took place, so for mall owners, a temporary pop-up could actually end up filling a long term vacancy. Just look at companies like Penguin, the RealReal, and Kylie Cosmetics. All brands that launched pop-up shops now and have stand-alone permanent locations or permanent displays in other retailers. Overall, pop-up shops are part of our current visual culture. The FOMO or “fear of missing out” creates a buzz that encourages consumers to shop or to visit for the experience even if they may not have been inclined by the product otherwise. This short-term, high-value lease style breathes new life into malls, especially those with vacancies, and mall owners are not complaining. This entry was posted in Ashby Real Estate Group News on April 12, 2019 by Lauren Henderson. The online short-term rental industry is a relatively new trend that has changed the way the customers look at traveling, as well as how some investors, and “regular” people are choosing to boost their income. In fact, studies show that U.S. short term rentals generate the most revenue globally at nearly $15 million, and the momentum does not stop there. Revenue is expected to increase at least 6.4% annually resulting in revenue of more than $18 million, with user penetration up to an additional 11.4% by 2023. With numbers, like that, staying ahead of industry trends and using the best technology available is pivotal to any . member of the short-term or vacation rental industry. Let’s look at 5 unique technologies both physical and digital, that will boost your game. 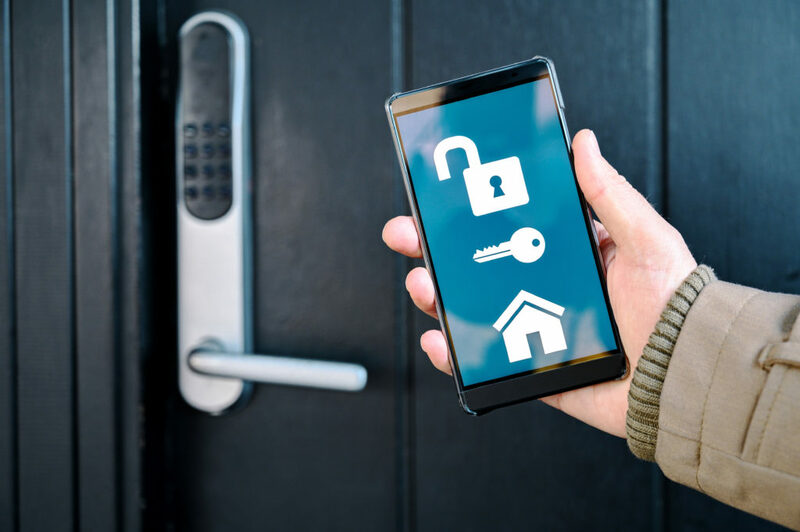 Though you may choose to invite strangers into your home or property for the sake of profit, that does not mean you need to forgo security and privacy. A smart look will allow you to avoid sharing physical keys which can be lost (Americans lose almost 20 million keys per year) or copied (creepy). They August smart lock, for example, is a sleek, user-friendly option that has 4.5 stars and more than 600 reviews on Amazon. It has remote control features, but can also work via wifi. With an easy installation that is compatible with many existing deadbolts and a mobile app you can link to your phone, it is extremely useful. KIGO is the vacation rental company’s premier management software. It provides users with tech that helps maximize revenue, reduce operating costs, and provide guests with better experiences. They can even set you up with insurance and a website to kick your short-term rental off properly. Additionally, guests can manage their stay, reservations, reviews, and payments right from their phones. KIGO has a global booking volue of $2,388,831,562 to date, which is quite impressive. AirDNA Market Minder is another tool that can be utilized to gain extremely valuable insights on competition within the short-term rental market. It uses data to analyze the metrics in your general location and show competitive comparisons on things like daily rates, occupancy, revenue, and lead times. It also mines data to show you when, how, and why pricing can be spiked in your area, and when bookings are most desired. If you’re thinking about listing your property as a short-term rental, there is even a handy tool that allows you to see what it could possibly be worth. Accounts with AirDNA are free, and the MarketMinders tool ranges from $19.95 – 99.95 per month, giving options for all budgets. Its description according to its website is as follows “Nova-Flo is a unique flood prevention device that turns off the water to a bath or basin as soon as the water level reaches the overflow. It’s fully mechanical, no electrical supply is required, it’s completely hidden from the user and it automatically resets as soon as the taps are turned to the closed position.” This handy little robotic device can even notify you when the leak is prevented, thus saving you thousands in possible damages. The RING doorbell cam allows you to answer the door and view guests before they enter your home either from inside the house or remotely via an app. It is a great way of screening guests prior to them ever entering your home. This ensures that the guest you are expecting matches the description and photo of who actually shows up, even if you are not at the property to greet them. Additionally, the doorbell also detects motion, this is a good way to monitor that guests aren’t throwing parties or sneaking multiple non-paying guests into your rental property. It is clear that in the future the market should only expect an increase in growth of the short-term rental industry. With the majority of renters being millennials it is key to stay ahead of technological trends to give customers the best experience possible and in turn, maximize your profits. This entry was posted in Ashby Real Estate Group News, NAI Dominion News on April 10, 2019 by Lauren Henderson. The United States has seen a major shift in health and fitness trends in the past few years. It may be due to the influx, and subsequent increase, of the average American’s social media viewing habits. Studies show that many people have begun to compare themselves to others due to the constant exposure to peers on social media. In some cases this has hurt some people’s self-esteem, however, for others it has been found to be a motivational factor and correlated with a positive attitude toward exercise, health and fitness. This is further demonstrated in statistics, which show that between 2000 and 2017, the number of fitness and health memberships nearly doubled. Now, people are taking it a step further and desiring fitness and health amenities where they live. Here are 3 health and fitness amenities that all multifamily buildings need in 2019, to provide the best quality of life for your tenant to keep them happy and healthy. Gone are the days where a fitness center could be described as a desolate room tucked away in a lowly corridor of your multifamily property. Tenants want advanced fitness centers that rival the offerings of a gym. Landlords and developers can even go beyond and lease space to an actual gym and include membership in rental rates. This provides an additional income incentive for fitness minded individuals. A study by the National Multifamily Housing Council found that 55% of tenants would not lease a property that did not have a proper fitness center. Ensuring your fitness center includes, fitness machines, open stretching/training areas, free weights, and ample mirrors is pivotal. Making sure you fitness center is at its peak functionality is key. According to a study by Commercial Property Executives and Kingsley Associates, tenants stated they desired a covered parking area designated specifically for bikes. Biking as a way to commute to and from work increased more than 60% from 2004-2014 according to the United States Census Bureau, and it has been increasing in popularity ever since. That being said, the addition to bike-friendly parking areas in your multifamily property allows tenants to have a safe, convenient place to store their bikes. Combine this with bike trails connecting your property to the street, or other bike trails in the city and it increases convenience for those tenants who ride a bike regularly or recreationally. 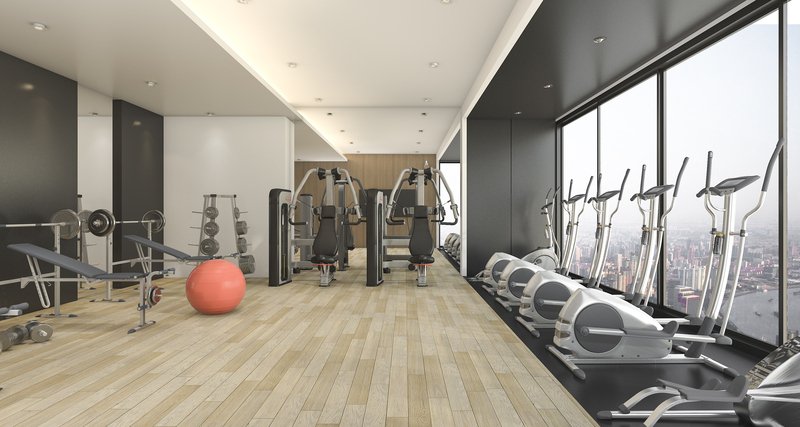 Health amenities are not always as “in-your-face” as having a gym in your building, they can also be subtle amenities that enhance your tenant’s overall wellness and health. Making sure they have a clean and healthy environment is also key. As a landlord or developer, you can implement or mimic The WELL Building Standard. “The WELL Building Standard is a performance-based system for measuring, certifying, and monitoring features of the built environment that impact human health and well-being, through air, water, nourishment, light, fitness, comfort, and mind.” Including amenities in the common areas such as advanced air filters, natural lighting and plants can increase a human being’s health. Additionally, making certain your cleaning crew uses non-toxic chemicals and your landscaping crew minimizes the use of dangerous pesticides for natural alternatives. Health and fitness are more than just trends. It should be a lifestyle, mindset, and common practice for all people. Implementing great health, wellness, and fitness amenities in your multifamily property not only benefits the property owner by increasing property values, but also his or her tenants by providing them with the option to live a healthier lifestyle — because remember health is wealth. This entry was posted in Ashby Real Estate Group News, NAI Dominion News on April 8, 2019 by Lauren Henderson. Did you ever watch the 90’s cartoon “Hey Arnold”? The main character, Arnold lived in a boarding house with his grandparents and a variety of other eccentric tenants. He had his own private bedroom and shared the common areas such as the bathrooms, kitchen, and living area. Producers did a phenomenal job of making the boarding-house seem like an exciting, fun place to live. After all, Arnold’s room was a loft with a skylight. 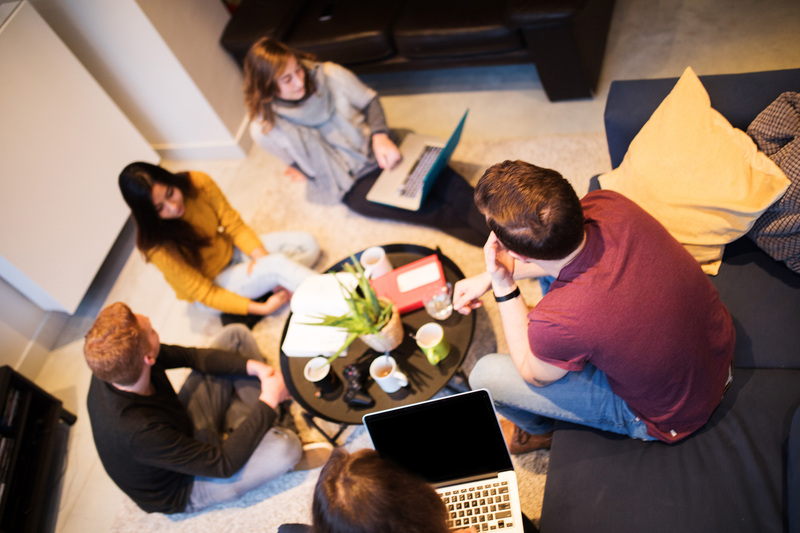 Well in 2019 Arnold’s living situation has now been branded as “co-living” and it is a trend that has been deployed to combat the sky-high rental rates some areas of the United States are currently facing. In fact, co-living could be coming to a city near you, here are some reasons you should pay attention to the trend some are calling “housing of the future”. One indicator that a new idea or trend may be one to keep an eye on is investor excitement. Many investors delegate precarious time and resources to decide what is worth spending their money on. Co-living seems to be one of these trends. Companies like Common, Starcity, and Roam have been doing quite well with their co-living developments in areas like New York, The Bay Area, and Boston. In fact Common recently secured $40 million of Series C venture funding. With companies like this finding success, other investors want in. Berlin-based Medici Living Group has recently gained an investment of $300 million to put into a co-living endeavor. They hope to add more that 1,000 co-living spaces throughout the United States. The momentum of investments toward co-living projects seems like it will continue to rise in the next few years as co-living gains popularity. Co-living is directly related to combat some of the United States’ high rental costs. Take a look at the average rental cost in San Francisco; according to Zumper it is more than $3,500 per month for a one bedroom. New York is not far behind at more than $2,700. Thant being said, it can be incredibly hard for tenants, especially single income individuals to find an affordable place to liver. Couple this with the fact that the average person has nearly $40,000 of debt and it is easy to see why renting an apartment can become difficult. However, co-living saves tenants money because of non-traditional practices. Most co-living spaces do not request a security deposit, you pay only for the duration of your stay, and utilities are included. Additionally, the majority of co-living spaces are fully-furnished, and move-in ready, which eliminates the cost of purchasing furniture or hiring a moving company for existing furniture. Co-living broadens tenants’ networks and creates a sense of community for them. The United States often focuses on the importance of being independent. That can make building a network of friends, and colleges difficult. This is especially true for people who have recently relocated or work remotely. However, co-living makes it easy to meet new people who share your common areas. Many may share the same profession, which can make it easy to meet new like-minded individuals. This is a great selling point when describing the benefits of co-living to skeptics, clients, or investors. Though co-living is a relatively new trend it has many benefits to tenants and investors alike. It can be easy to denounce these benefits because American society has been taught that independence equals success. However, co-living challenges this notion and has the capability to change the future of how the average U.S. citizen lives. So be sure to keep an eye out, as it may be coming to a city near you. This entry was posted in Ashby Real Estate Group News on April 5, 2019 by Lauren Henderson. This entry was posted in Ashby Real Estate Group News, NAI Dominion News on April 3, 2019 by Lauren Henderson. Sustainable building and design is something we have been hearing a lot about this past year. 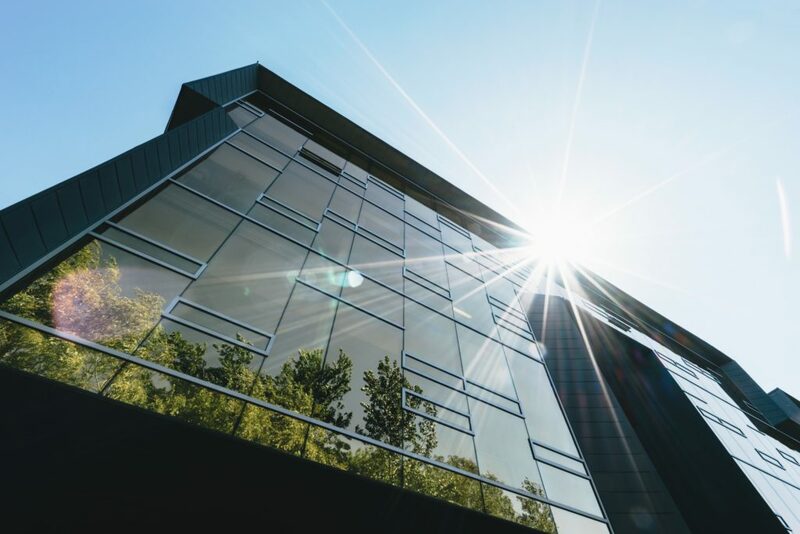 With topics such as climate change trending in multiple facets like politics, collegiate lectures, or even just break-room talks, how has sustainability made its way into commercial real estate? Not only is an effort to become more sustainable seen favorably by tenants, but also by many investors, developers, and landlords. Sustainability has proven to not only benefit the environment, but also lower operating costs. So, let’s look at 5 ways sustainable design is making its way into CRE. Green spaces added to buildings can help with sustainability in a number of ways, as well as provide appealing common areas for tenants. Green roofs, decks, and indoor gardens are all sustainable designs that have made their way into CRE, especially the office and multifamily sectors. Green roofs provide additional benefits such as absorbing rainfall and increasing insulation, which can reduce energy costs and consumption. Indoor gardens can also create an appealing aesthetic for tenants and can cool surrounding air in a process called evapotranspiration. Utility and energy efficiency is another sustainable design that has made its way into CRE. Elements like solar panels, sustainable HVAC systems, and windows help create more effcient and profitable buildings. It lessens the impact on the environment, as well as saves landlords money on utility costs. Using wind or hydro-energy along with solar can also increase a property’s efficiency. Check out this handy calculator on how much money solar saves average homes based on location. Employing advanced lighting techniques also lends to utility efficiency; however, this can be achieved in other ways as well. Daylighting is a technique started in the developmental stages of building. This design strategically places windows, skylights, reflective surfaces and breezeways to light a building naturally. It also reduces energy and can cool a building without the use of AC. Many cities have pledged to become carbon neutral by 2050 (or sooner) as part of the Carbon Neutral Cities Alliance. These cities include Berlin, Boston, London, New York City, Portland, and San Francisco to name a few. To achieve this goal, many of these cities’ governments have given initiatives to creating more sustainable buildings and converting existing buildings. Some initiatives include tax breaks, others include penalties for new buildings that do not meet sustainable criteria. Here is a link to the EPA, which includes guides to local and state specifics on various initiatives. Developing buildings with sustainable materials sets a standard from the ground up — literally. Using materials like recycled metal, rubber, and glass for structures, wood that bears a “Forestry Stewardship Council” stamp, insulation made from products like cork, woodfiber, hemp, and more can create a sustainable building. Maintaining our environment is crucial. By adding sustainable aspects in to CRE developers can attract investors, and tenants while potentially lowering costs and energy output. This entry was posted in Ashby Real Estate Group News, NAI Dominion News on April 2, 2019 by Lauren Henderson. Will modular construction work for CRE? If you spend anytime at all in the residential real estate world, or know anyone who does, you’ve no doubt heard of the prefab revolution. In fact, there’s a saying that’s going round in residential real estate that your next project won’t be built — it will be manufactured. New advances in building technology and material are helping today’s manufactured or modular houses shake the negative stereotypes and connotations of the prefab homes fom days gone by. But could this revolution ever make it way to commercial real estate? Some insiders say yes. Some say the notion is unlikely, but the eco-friendliness and the efficiency of modern modular construction are both reaching all-time highs, and manufacturers of these modular structures have already built some pretty impressive buildings all over the world. As such, there is definitely some sound evidence that modular construction is the way to go for all new construction projects, with the average consumer now not being able to tell the difference in traditionally constructed and prefabricated buildings once complete. It’s time to put the negative stereotypes behind us and see all of the ways modular construction can benefit those in commercial real estate, including owners and managers of commercial space. There are a number of factors that have contributed to the sharp increase in the modular construction, as of late. While modular construction has been around for ages, we have never seen such a sharp increase in popularity and demand as we have recently. So what could be the cause? Why are we seeing this demand now? The Technological Revolution – Increase use of digital modeling, combined with new and innovative manufacturing techniques have done wonders to broaden the eyesight of people. As a result, we are using more AI and robotics in manufacturing everything, from furniture to smart cars. Naturally, this trend is making its way into commercial construction, and it’s a nearly perfect fit. A Decrease in a Skilled Workforce – Modular construction gives relief to labor issues, a desperately needed answer after the nation’s recession. As the recession hit, thousands of construction workers suddenly found themselves out of jobs. And, now that the economy and housing market are recovering, many of these workers have either moved into a different field or retired — leaving a definite shortage of skilled workers. Automating the construction process helps relieve some of this strain. The Perfect Storm for Growth – The current combination of technological possibilities, undeniable shifts in the American economy, a smaller construction-skilled workforce, and the increase in the cost of skilled labor can be best described as a perfect storm effecting change in the commercial construction industry. And, when you add in higher quality standards and client demands for faster turnarounds and a bigger ROI, it’s no wonder that modular construction seems to be the answer. 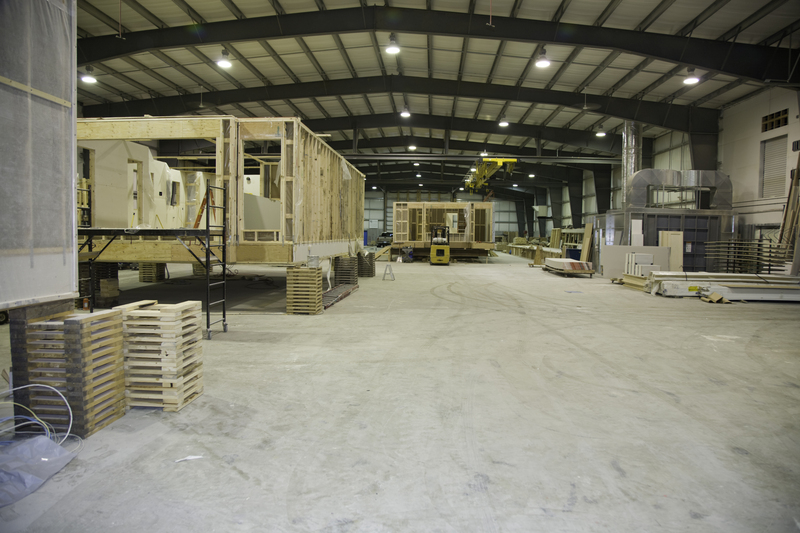 So, then exactly what are the benefits of modular construction in commercial real estate? Let’s look a little more closely. Cost Savings – Modular construction is incredibly cost efficient and boasts much less waste than traditional on-site construction — and these savings get passed on to the buyer. Additionally, fewer workers are needed to complete the project and the overall timeline is shorter, meaning a faster ROI. Quality Control – Modular or manufactured construction projects are constructed in a carefully controlled factory environment. They are both designed and built to the same standards as traditional on-site style builds and are extensively tested in the factory to make sure quality standards are met before the structure leaves the factory. Site Impact – There is less impact on the construction site, which means less restoration once the project is completed — saving both time and money. Additionally, modular construction ensures that minimal deliveries and movement are needed to deliver materials to the construction site. Sustainability and Eco-friendliness – Another big benefit of modular construction is that these projects are typically more eco-friendly and sustainable. Modular construction boasts a minimal waste of materials, as well as wood (a renewable resource) as its main structural component, making these projects much more eco-conscious. This entry was posted in Ashby Real Estate Group News on March 27, 2019 by Lauren Henderson.